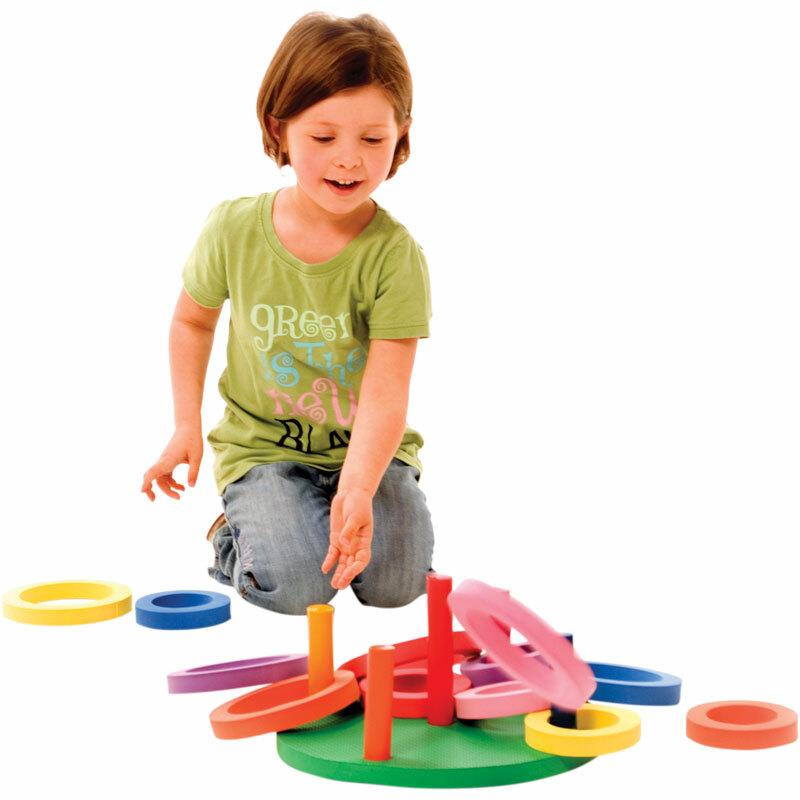 Made from high-density foam, the PLAYM8 ® Foam Ring Toss is suitable for use indoor or outdoor. 1 x 42cm diameter, collapsible base. 14 rings, 2 of each red, yellow orange, blue, green, purple and pink. 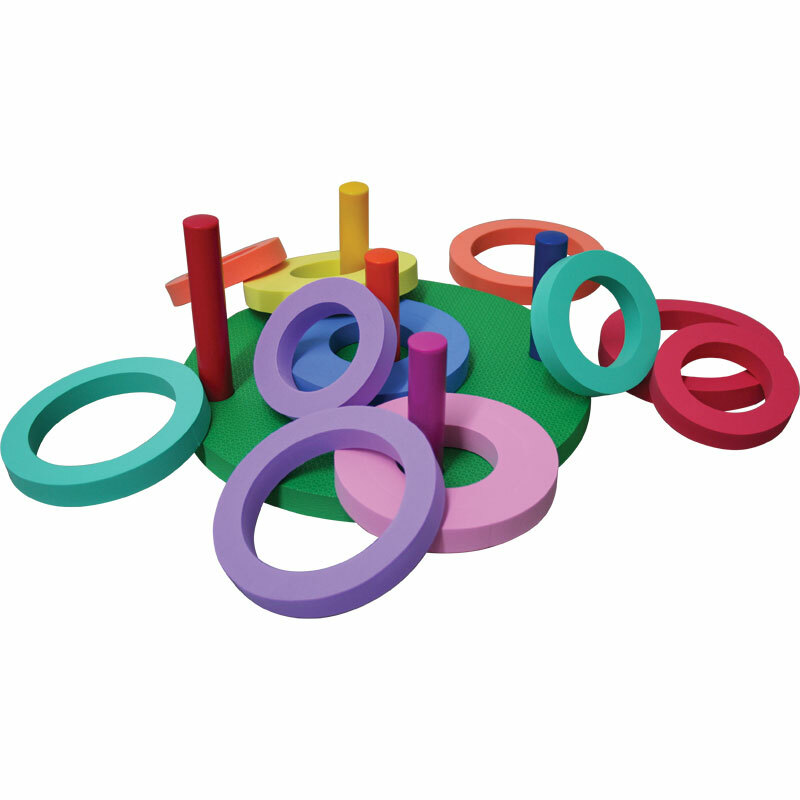 Each of the 7 coloured ring splits into 2 rings, 1 x 15cm diameter and 1 x 11cm diameter. My nephew has no co-ordination but does enjoy trying to hook the pegs. An excellent product which will give lots of fun & improve his eye\hand skills.